Spray-on antenna; sequestering carbon dioxide in batteries; power from flowing water. Engineers at Drexel University developed a sprayable form of the 2D material MXene that can be used to create antennas on nearly any surface. The antennas perform as well or better than the ones currently used in mobile devices and RFID tags. 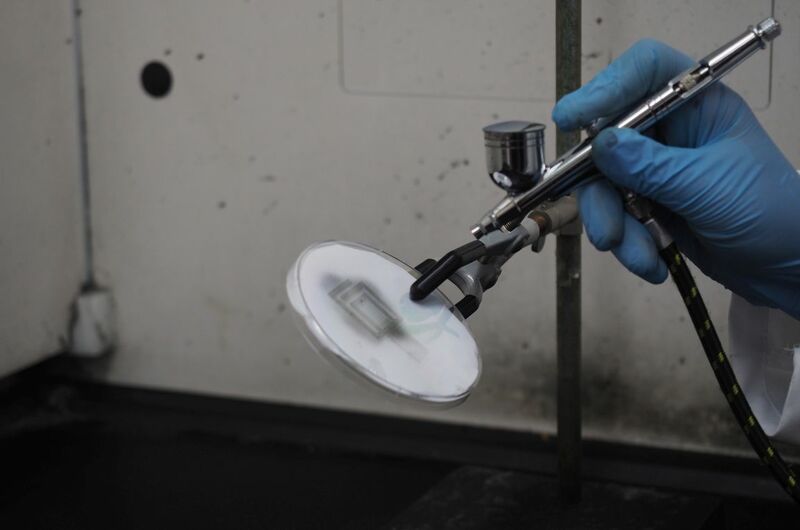 The MXene titanium carbide can be dissolved in water to create an ink or paint. The exceptional conductivity of the material enables it to transmit and direct radio waves, even when it’s applied in a very thin coating. Initial testing of the sprayed antennas suggest that they can perform with the same range of quality as current antennas, which are much thicker than MXene antennas. The group initially tested the spray-on application of the antenna ink on a rough substrate, cellulose paper, and a smooth one, polyethylene terephthalate sheets. Next, the team plants to investigate the best ways to apply it to a wide variety of surfaces from glass to yarn and skin. Researchers at MIT developed a new type of battery that could utilize carbon dioxide captured from power plants. The battery is made from lithium metal, carbon, and an electrolyte that the researchers designed. 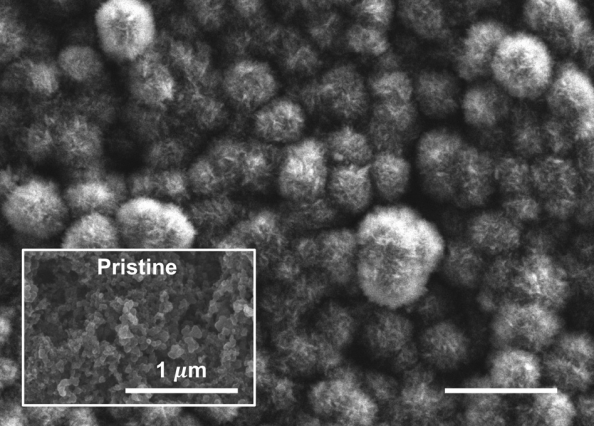 Rather than attempting to convert carbon dioxide to specialized chemicals using metal catalysts, which is currently highly challenging, this battery could continuously convert carbon dioxide into a solid mineral carbonate as it discharges. Currently, power plants equipped with carbon capture systems generally use up to 30% of the electricity they generate just to power the capture, release, and storage of carbon dioxide. Anything that can reduce the cost of that capture process, or that can result in an end product that has value, could significantly change the economics of such systems, the researchers say. The team looked into whether carbon-dioxide-capture chemistry could be put to use to make carbon-dioxide-loaded electrolytes where the captured gas could then be used during the discharge of the battery to provide a power output. This approach could potentially be used right in the power plant waste stream to make material for one of the main components of a battery. By incorporating the gas in a liquid state, however, the team found a way to achieve electrochemical carbon dioxide conversion using only a carbon electrode. The key is to preactivate the carbon dioxide by incorporating it into an amine solution. This early system has not yet been optimized and will require further development, the researchers say. For one thing, the cycle life of the battery is limited to 10 charge-discharge cycles, so more research is needed to improve rechargeability and prevent degradation of the cell components. “Lithium-carbon dioxide batteries are years away” as a viable product, said Betar Gallant, assistant professor of mechanical engineering at MIT, as this research covers just one of several needed advances to make them practical. The researchers are also investigating the possibility of developing a continuous-operation version of the process, which would use a steady stream of carbon dioxide under pressure with the amine material, rather than a preloaded supply the material, thus allowing it to deliver a steady power output as long as the battery is supplied with carbon dioxide. Engineers at the University of California San Diego developed a super-hydrophobic surface that can be used to generate electrical voltage. The patterned hydrophobic surface enables water (and any ions it carries) to flow faster when passing over. The surface also holds a negative charge, so a rapid flow of positive ions in salt water with respect to this negatively charged surface results in an electrical potential difference, creating an electrical voltage. This design was capable of producing at least 50 millivolts, 50% more than previous designs. The surface was made by etching tiny ridges into a silicon substrate and then filling the ridges with oil. In tests, dilute salt water was transported by syringe pump over the surface in a microfluidic channel, and then the voltage was measured across the ends of the channel. In future work, the team will work on creating channels with these patterned surfaces that can produce more electrical power. Higher voltages may be obtained through faster liquid velocities and narrower and longer channels. The proof-of-concept work could lead to the development of new power sources for lab-on-a-chip platforms and other microfluidics devices, according to the researchers. They think it could someday be extended to energy harvesting methods in water desalination plants.